A visit by US defence secretary Donald Rumsfeld to Moscow on 13 August failed to produce a change in Russian opposition to the national missile defence (NMD) plans of the US. Similarly, Russian attempts to link the NMD issue to arms reduction talks found little sympathy with Mr Rumsfeld who has indicated that the US will reduce its nuclear arsenal unilaterally. The Guardian suggests that this approach to arms reduction reflects the Bush administration's desire to avoid being bound by international treaties. George Bush and Vladimir Putin have agreed to hold talks on the issue of nuclear arms reduction in the context of the proposed US national missile defence (NMD) system. The announcement of talks linking the two issues on Sunday in Genoa came as a surprise to most observers and went a little way towards restoring the credibility of summit meetings. The death on Friday of a young Italian protestor shot by police has achieved what both G8 leaders and the majority of peaceful protestors feared - overshadowed the real issues at stake. The massive security measures that were put in place by the Italian authorities did not prevent violence on the one day of the summit when no official demonstrations were planned. The mass demonstration planned for Saturday is going ahead despite the death and the organisors hope that issues such as debt relief and the fight against AIDS will get the attention they deserve. Poverty reduction, debt relief, the UN AIDS and Health Fund, the environment and food safety are the priorities the European Commission set for the G8 summit in Genoa. Commission President Romano Prodi will attend the summit together with Prime Minister Guy Verhofstadt of Belgium, the current holders of the presidency of the EU. An Italian policeman was injured by a letter bomb delivered to a police post in a suburban railway station in Genoa on 16 July. 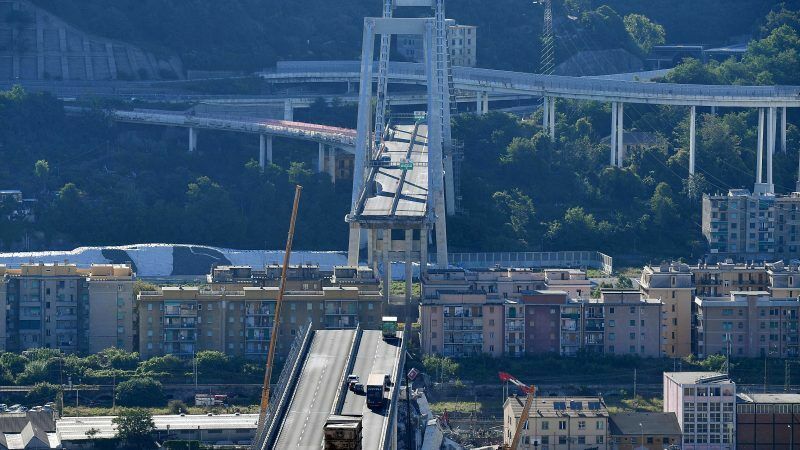 No one has claimed responsibility for the attack but it is believed to have been carried out by a group opposed to this week's G8 summit in Genoa. Up to 100,000 protestors are expected to travel to Genoa for the summit where they will be met by 16,000 police and soldiers hoping to prevent the kind of violence seen at last month's Gothenburg European Council.